On the Menu: Lions vs. Bombers – Grey Cup 99 | Exploring Winnipeg and Beyond. So what makes Bob tick?? ← Winnipeg Blue Bombers win, next stop the 99th Grey Cup. Well as you all can expect I am getting a small house full tomorrow for the 99th Grey Cup. 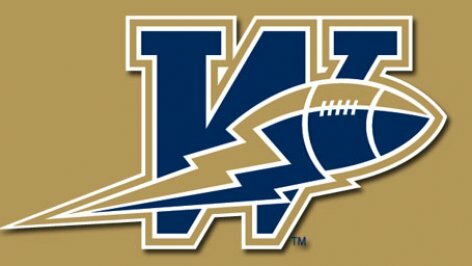 My home town Winnipeg Blue Bombers are facing the B.C. Lions in Vancouver. So of course it falls to me to cook game day food. What do I have on the menu you may ask. Well lots of things. Lots of things indeed. I actually plan to round out the food groups this year which is something that has been lacking on past years. 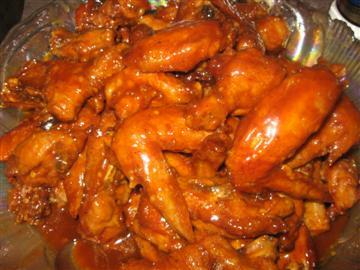 For the protein I am doing a course of classic deep fried chicken wings, probably two or three ways depending on our guests flavor preferences. My fave is just straight up with Franks Red Hot sauce. Dar loves salt and pepper, and I could decide to whip up an Asian mix as well. 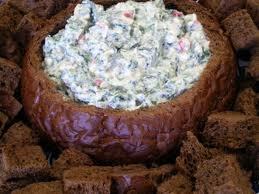 Aside from that I expect a pumpernickel loaf and dip for the veggies. Some La Conchita chips with a good salsa and cheese dip also. Of course we will be catering to an all ages crowd so both hard and soft bevies are expected. Well those are my thought and menu plans. Share The Wealth of Winnipeg! This entry was posted in Why Winnipeg Rocks!, Winnipeg Events and tagged 99th Grey Cup, BC Lions, BC Place Stadium, Buck Pierce, CFL, Doug Brown, Franks, Great Canadian Drunk, Grey Cup, Jovan Johnson, Milt Steagal, Odell Willis, Vancouver, Winnipeg, Winnipeg Blue Bombers. Bookmark the permalink. What about a cheesecake for dessert? Goodbye Mom, I Love You. I Really Hope Those are Not the Drums of War. 9/11: 17 years later and clearer than ever. Rest in Peace Chef: Anthony Bourdain dead at 61. Did you ever need to Floyd Out? Posts you guys really like! U2 360: A pre-show primer. Lest We Forget: Sergent Tommy Prince - Canada's almost forgotten hero. You can “LIKE” me on Facebook, Go ahead share the Love! Richard Wiseman's Cool Science Blog. Free Delivery Availible Act Now. Explore Winnipeg and Beyond! Yes, Bob show me the LOVE. Give me Exploring Winnipeg and Beyond For FREE!